This is the stack visualizer. When you debug your program with gdb and you want to imagine what goes on on the stack you can use the stack visualizer. Then you have to paste the output in the space below and click submit. 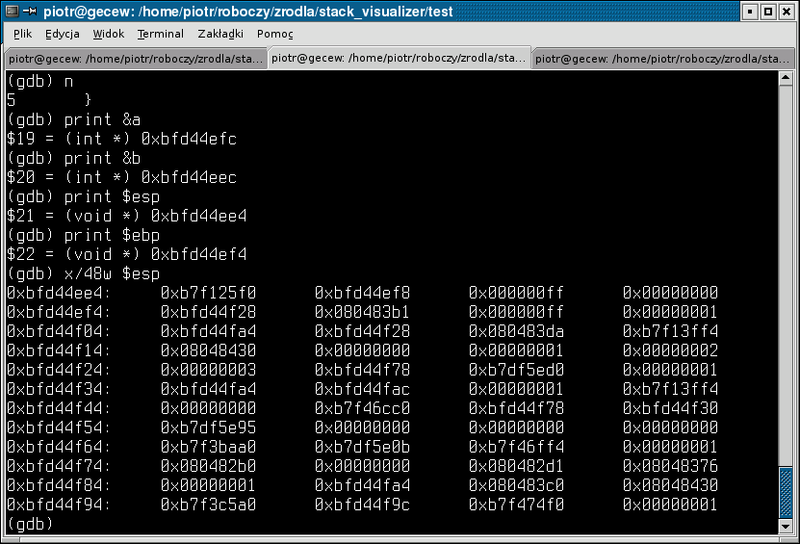 Then the stack visualizer will parse gdb's output and will show you how the stack looks like in this moment. 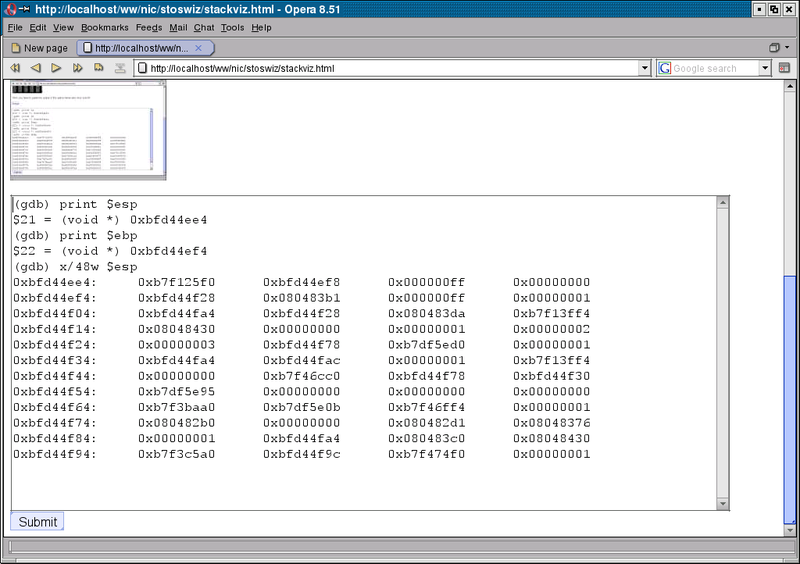 the stack visualizer will know what is the address of this variable and will show you where it lies on the stack. Of course you can do this with more variables. This tool was written by me. You can download it here. 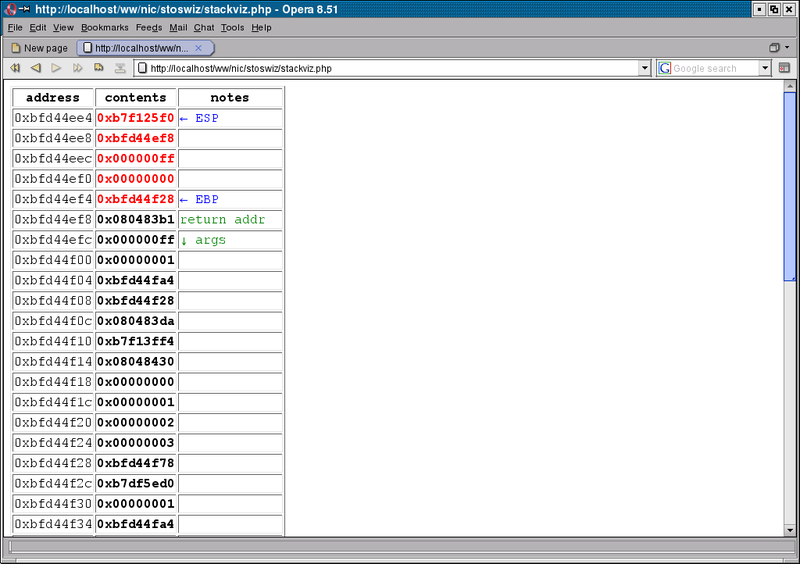 It is an open source released under GPL.